Peter “Pete” Seibert was born in Sharon, Massachusetts on August 7, 1924. When skiing on a New Hampshire hill at age 12, hanging on for dear life to a rope tow with his fingers numb from the cold, he realized this was not the way to go. He resolved that someday he would build a luxurious ski resort with big mountains, sweeping wide slopes with powder snow, gondolas and chairlifts to sit comfortably. It was a dream that persisted even though it had to wait for quite a while to be fulfilled. The road ahead was roundabout: school and education first, then World War II broke out. Peter Seibert joined the 10th Mountain Division and underwent training at Camp Hale in Colorado and Camp Swift in Texas. In the winter of 1944-45, he was shipped out with his division to join the American Expeditionary Forces in Europe. He saw action at San Marcello in northern Italy and was part of the courageous assault of the Mountain Troops at Riva Ridge and Mount Belvedere which signaled a crucial breakthrough through the enemy lines and cleared the way for American forces to advance. As fate would have it, “Pete” was wounded three times and evacuated on March 3, 1945. By this time, the tide of war had turned toward the final victory of the Allied Armies. After a lengthy period of healing and convalescence with a Bronze Medal for bravery and a Purple Heart to show for his wounds sustained in combat, “Pete” was mustered out in 1946. He went to Colorado to get his legs back in shape and improve his skiing prowess while working for the Aspen Skiing Corporation as the head of the ski patrol. Aspen was a rapidly building new ski resort under the guidance of Walter Paepke who had hired Friedl Pfeifer to organize and run the ski school. Pete advanced to become a member of Pfeifer’s Ski School. He loved to teach and (according to Friedl Pfeifer) was methodical – and good at it. To satisfy his competitive ambitions, he entered a number of local races. In1946, he won the SRMSA Championship, also the prestigious Roch Cup at Aspen. In 1949, he placed third in the National Giant Slalom at Reno, Nevada and was consequently named an official member of the 1950 USA Ski Team to participate in the World Championship Races (F.I.S.) at Aspen. He enrolled in the University of Grenoble to further his education. Later he entered the Ecole Hotelier at Lausanne, Switzerland, one of the most highly thought of institutions of teaching the culinary arts and intricacies of hotel management. Back home with a diploma in hand as a qualified hotel and resort manager, he took a job at Loveland Basin, Colorado to run the area (1955-57). Soon however, Aspen lured him back, offering him the management of the Aspen Highland Ski Area. The die was cast. Peter Seibert had fully grown his wings to fly on his own. He had been searching for an area yet untouched and immediately suited to develop the ski resort of his dreams. He found it and named it Vail. There was nothing there to speak of except a few isolated farms. This was it and he set out to raise the money single-handedly in order to build such a resort from scratch. He crisscrossed the United States many times and eventually succeeded. Vail – a dream in his mind became a reality. “Pete” was the catalyst and, in 1960, became the president of the Vail Corporation and a partner in the newly formed Vail Associates Ltd. He served as chairman and president of the Vail Associates, Inc. until 1977. He was also elected President of the National Ski Area Association and held the post for 2 years. Fate can be fickle and business practices are often rough and tough. Vail was bought out with strong financial backing. Pete’s and the new owner’s personalities and philosophies clashed. He felt he had to resign and did. He was well off money-wise but not nearly as well rewarded as he deserved. 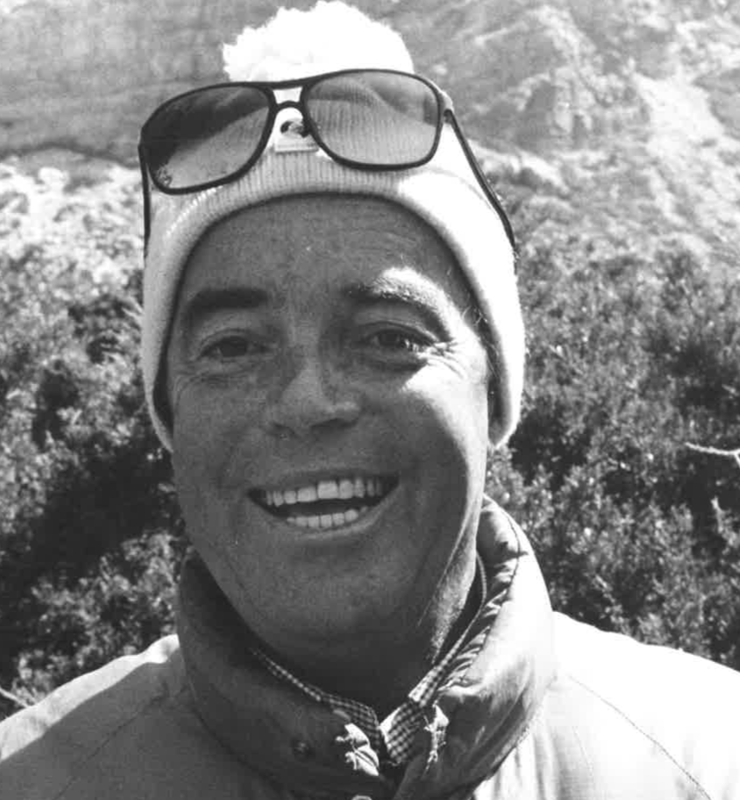 Peter Seibert was elected to the U.S. National Ski Hall of Fame in 1984. If you notice any errors or inconsistencies in Peter Seibert's bio, click here to let us know.